Ever wonder about those big amounts awarded to plaintiffs in highly-publicized court cases involving death and injury? The amounts take your breath away. The most-used formula to calculate pain and suffering is called the multiplier method. It multiplies the sum total of lost wages and medical bills by a factor of 1-5 (usually 3) depending upon the level of severity of the accident. A second formula uses the per diem method. Projected days of pain and incapacity are all calculated and multiplied by the estimated number of days affected to arrive at a daily rate. But there is no hard and fast rule. Some insurance firms will use a figure that derives from combining the two methodologies to arrive at a final figure. Therefore, use these formulas to arrive at an approximate estimations of your potential award. Insurers take into account documentation such as daily journals, statements from relatives and loved ones, bills from psychologists or other mental health professionals, etc. to document pain and suffering. But, there is a third type of compensation that really increases the size of the award – punitive damages. 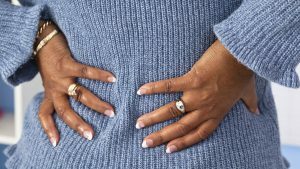 Granting compensation for punitive damages is somewhat rare and not always allowed in all states, but in the state of New Mexico it is allowed. In this scenario, malicious, willful, reckless, wanton, or fraudulent action must be proven, and only one key attribute needs to be established without a doubt. Insurance companies will not pay for punitive damages. At the same time, New Mexico takes a dim view of financial windfall of awards that do not necessarily link the act of harm and the accident, but solely seeks to punish the defendant. Moreover, the cap on the award must equal or less than the amount of compensatory damages x10. Nevertheless, that’s still a lot! To recap, in order to calculate a gross estimate of compensation for pain and suffering, take medical expense and lost wages (both past and future) multiplied by 3. As there is no exact standard for measuring non-economic damages, it’s absolutely critical that the presentation of pain and suffering damages is done in a manner that can be easily understood and can award you compensation accordingly. It is in the very nature of insurances companies to award the lowest amount possible. Prince, Schmidt, Korte, & Baca can help! We are experienced at personal injury and are qualified to assist you in getting the maximum amount due you for your injuries or those of your loved ones. New Mexico is one of the more dangerous states in which to drive, ranking 22nd of the most unsafe states to drive. But that doesn’t mean that we drive poorly. 75% of all vehicle accidents occur on rural roads, and New Mexico, with a population of just 2 million, has a large percentage of rural roads. Rural roads pose a greater danger for drivers. It is tempting to speed on those roads less travelled, while drivers in rural areas are also less inclined to use a seat belt. The overwhelming majority of traffic accidents are caused by failure on the part of the driver, whether it be distracted driving, driving under the influence, or just plain not following the rules of the road. However, approximately 6% (NHTSA) of accidents are caused by mechanical failure, environment or unknown causes. You can reduce your chances of getting involved in a car accident not only by being a good driver, but also by making sure your car is properly maintained. The following, listed in order, are the common mechanical failures leading to car accidents. This will inspire you to “run” to your auto repair shop. Tire failure causes roughly 35% (NHTSA) of the crashes where vehicle failure was involved. A blowout involves a sudden loss of air pressure in a tire which then pulls the vehicle sharply in one direction, resulting in loss of control. A worn tire can cause a blowout, so can a puncture. However, worn tires pose an additional risk, since they lose their grip, making it harder to stop or otherwise control the car, especially when it is raining. If your tires have low tread, don’t delay in replacing them with new tires. Keeping your tires properly inflated, rotated and aligned will lengthen the lifespan of your tires, but there’s no way around it when it is time to replace those treads. Your vehicle manual will guide you in the proper maintenance of your tires. Brake failure makes up around 22% (NHSTA) of all accidents involving mechanical failure. No explanation is needed regarding the danger bad brakes pose. That goes for bikes, planes, trains and go-carts. If you can’t stop your vehicle, you can’t stop hitting what’s in front of you. Brake problems by and large result from a lapse in maintenance. If you are hearing a metallic scraping when you apply the brakes, it is definitely past time to visit the shop. Worn pads and discs will reduce stopping power. However, a leaky brake line or an ABS malfunction can also put you at risk. Regular trips to the auto shop and brake inspection will easily let you know if your brake pads are getting thin. Once your pads have passed 30,000 miles, it’s time to start saving up for new brakes. A steering failure is somewhat rare, but statistically is the third major cause of accidents (3%) due to mechanical failure. Anything that compromises the ability to steer, whether that be suspension problems, an engine fault, or a broken joint is regarded as a steering failure. If you keep the vehicle in good repair, it’s not likely that a failure of this sort will put you and your loved ones in harm’s way. It’s a good idea to ask for a full vehicle inspection at least once a year using electronic diagnostic tools to check for any hidden faults your on-board computer has found. Wipers provide visibility when it is raining, snowing, hailing, or even when mud from the road flies up. Ever had a juicy batch of bugs hit the window while driving, limiting visibility? Or ever tried to drive in a heavy rainstorm without windshield wipers? Replacing blades is part of basic vehicle maintenance and should be done as they start to degrade to prevent an accident. A lack of good blades on your vehicle could demonstrate that you did not maintain your vehicle properly if an accident and resulting insurance claim occurs. The same idea applies to the lights on your vehicle. If you have a broken light, you may not be visible to other drivers, putting you and the other driver at risk. You may minimize the importance of replacing a tail light or even a fog light. Don’t! And if you don’t get them replaced and get in an accident it can jeopardize your chances for compensation. 402 people lost their lives in New Mexico, 2016. But overall, New Mexico can tout a decline in traffic fatalities of 28% since 1975. Way to go, New Mexico! The overall decrease in the death rate is attributed to higher awareness of the danger of drinking and driving, as well as high compliance with seat belt laws. Assuring your vehicle is in good working order and that you abide the rules of the road will keep you from becoming one of these statistics! Autonomous vehicles are coming. Soon — and New Mexico needs to be ready. That was the message from a recent summit on autonomous, or driverless, vehicles organized by the state Department of Transportation. Local officials, technology experts and even industry representatives all agreed legislators need to understand the technology before changing laws or other policies. Earlier this year, Sen. James White, R-Albuquerque, introduced a memorial asking NMDOT to organize the summit and get New Mexico ready for autonomous vehicles. While some predict widespread use of fully autonomous vehicles is decades away, White said it could be closer to 5-to-10 years away. And in fact, some semi-autonomous vehicles are already on the road today. “The industry is fast defining what we do here in this realm,” Charles Remke, director of New Mexico Department of Transportation ITS, told attendees. Tyler Svitak, the Connected and Autonomous Technology Program Manager at the Colorado Department of Transportation, said states need to define what they want and need from autonomous vehicles — before the fast-growing industry does it for them. Industry is open to partnerships with states, he said, but states must first establish goals and lay out a strategy. 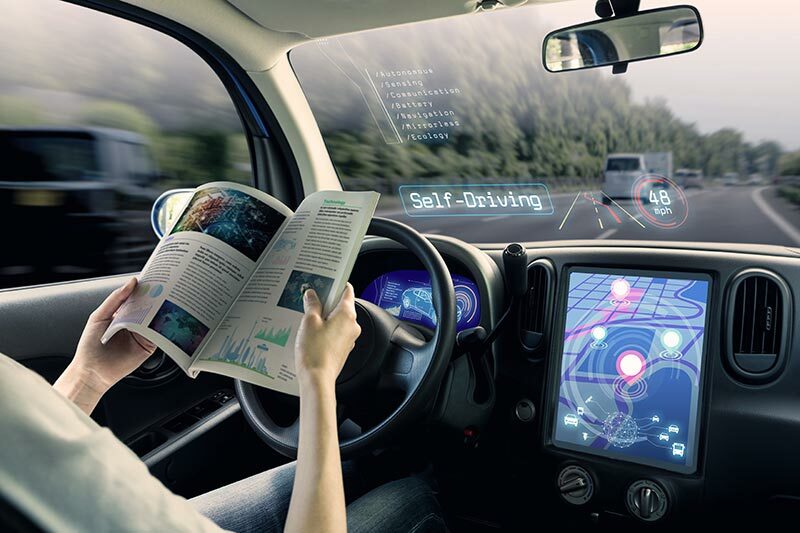 While commercially available vehicles that can safely drive without any human interaction are years away, semi-autonomous vehicles are already on the roads, including on New Mexico’s highways. Automated semi trucks cruise across Interstate 10 in southern New Mexico on regular trips between Los Angeles and El Paso. Jonny Morris is the Head of Public Policy at Embark, the company which operates those trucks to deliver air conditioning equipment. He explained that the company uses the automated systems from “exit to exit” on highways, though human drivers still navigate surface streets in cities. Even when automated, those trucks still have CDL-licensed drivers who are required to have their hands on the wheel at all times and to take over if there is a problem. The SAE, an organization of scientists and engineers in the automotive industry, has five levels of automation with cars. According to the National Highway Traffic Safety Administration, which adopted the standards, Level 1 includes vehicles with automatic braking and cruise control. Level 2, or partial automation, cars assist with steering or acceleration, but the driver must stay engaged. The next big leap is to Level 3, conditional automation, where a driver is needed and expected to jump in and take over. This includes currently available products like “autopilot” modes in cars like Teslas. At Level 4, the vehicle can drive itself under certain conditions, with no input from the driver. The driver would have the option to take over and control the vehicle themselves. At Level 5, the vehicle can drive itself under all conditions — and might not even have the option for the human to take over. Levels 4 and 5 are what most people think of when picturing fully automated, driverless cars. It isn’t necessarily personal vehicles where automation will occur first on the roads. Like Embark, other trucking companies and manufacturers are already exploring automated vehicles. Budweiser used “Otto,” a self-driving truck, to deliver beer in a highly promoted public relations act. But in New Mexico, it’s the I-10 corridor that could see big advances in automated trucks. And already, something called “platooning” is being used to make hauling cargo by truck more efficient. Steve Boyd, the founder and vice president of external affairs for Peloton Technology, talked about the technology that would allow semi trucks to communicate with each other and “draft.” While drafting, trucks sync with those in front of them, allowing them to match the acceleration and braking of the lead truck. Drafting increases fuel mileage and may decrease accidents. This can already take place on New Mexico’s highways without any needed upgrades to existing systems. The infrastructure automated vehicles need is in line with what many human drivers want already. “We need well-maintained roads, well-marked roads,” Embark’s Morris said. Colorado is already working on connectivity and has a $72 million connected vehicle network in the works, in partnership with Panasonic. The system will run from Golden to Vail on I-70, 90 miles of the most dangerous road in the country, and will eventually help automated vehicles more safely travel the area by interacting with the vehicles. The most costly part of this is the new infrastructure — and its digital technology is “invisible” when compared to infrastructure like roads and bridges. Shortly before last week’s meeting, an autonomous vehicle from Uber killed a pedestrian it failed to detect crossing the street. The incident hung over the meeting, and a representative from the company, scheduled to speak about Uber’s trucking efforts, canceled. Still, experts anticipate that accidents will decrease when fully automated cars are on the roads. “If we have autonomous vehicles programmed to follow the law, what the hell are we going to do?” State Police Chief Pete Kassetas joked. He said that a reduction in accidents would reduce the work for state police. Kassetas also said drug traffickers using autonomous cars might no longer be pulled over for traffic violations, such as speeding. “But the tradeoff is good,” Kassetas said. Not all accidents would be eliminated. Which brings up its own series of questions: Who would pay for a serious injury or death when an autonomous vehicle hits a pedestrian? And how would liability for crashes between two autonomous vehicles differ from current law? Those are questions that Santa Clara University School of Law Professor Robert Peterson studies. And there are no real answers yet. Right now, 94 percent of crashes are due to human error or judgement, he said. That would change with autonomous vehicles, as would the liability for manufacturers. 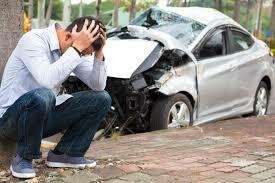 Currently, accident claims go through auto insurance. In the future, they may go against the manufacturer — which has higher caps than auto insurance claims. And damages to equipment would also be more expensive, since expensive equipment would be placed behind the bumper, causing potentially thousands of dollars of damage in relatively minor accidents. Despite the negative attention from the fatal Uber accident and the uncertainty facing the technology’s future, White doesn’t see any opposition to legislation that comes from the summit and other meetings before next year’s legislative session. White expects to introduce legislation in next year’s legislative session to bring New Mexico into the autonomous vehicle future. Matthew Reichbach writes for the The NM Political Report.